Some people think I make a fortune off my marine engineering website. I don’t get that comment so much these days, but back when I started in 2000, there was this expectation that everybody with a website was a millionaire. No, far from it. It’s actually quite a bit of an expense in time and money that goes into it, and I certainly don’t do it for money. So why do I do it then, is usually the second question I get. The answer is pretty simple; it provides me such a great opportunity to meet people who share my enthusiasm of what we do, and those experiences really are better than money. A few months ago, I received an email from Charles in the USA, he wanted to send me some pictures of Sun Ships, the shipping arm of Sunoco Oil Company, on which he had served as a mate. He had seen the Doxford area of my website, where there is a discussion about the English engines, being used in Sun Ships, and wanted to contribute. 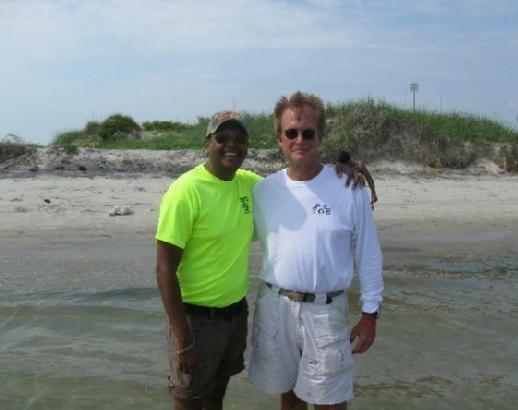 Little did he know I was actually on a ship heading north from the Caribbean, and we had planned to stop by Morehead City in North Carolina, for fuel, where, as it happens, he lives and works. Charles no longer sails actively; he is now a busy Cargo Surveyor running his own outfit, WC Leeuwenburg Marine Cargo Surveyors. He knew of our ship, and we made plans for him to come by and say hello when we would be in. The whole US port visit experience left a bad taste in my mouth – as it does to many seafarers, but Charles came by the ship as promised, and was a bright spot in the stop. 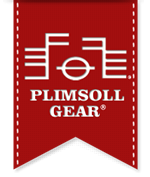 Not only did he bring the pictures for the website, but also some great Plimsoll Gear for the entire crew. Comfortable long sleeve shirts, featuring the very nautical Plimsoll mark; the crew was very surprised and happy to receive these gifts. He also went out of his way to let me borrow one of his company phones, for the few days, while I was there. It was a special treat to speak with my wife and kids, in the privacy of my cabin. Not to mention that in today’s world, a payphone is very hard to find, so calling a cab was made so much easier. So ok, I certainly don’t “make money” from the website, but these events really highlight a great human trait, and how, in such a small world we all share, it illustrate how we are connected somehow. What a great feeling; truly makes me feel wealthy, and for that I am very grateful – thanks Charles. Thank you for your kind comments. I look forward to your next visit. We'll leave a light on for you! It's a small world isn't it? Like coming out of an elevator at Maritech and a rather cheerful fellow I had never met calling by name. Right Martin?